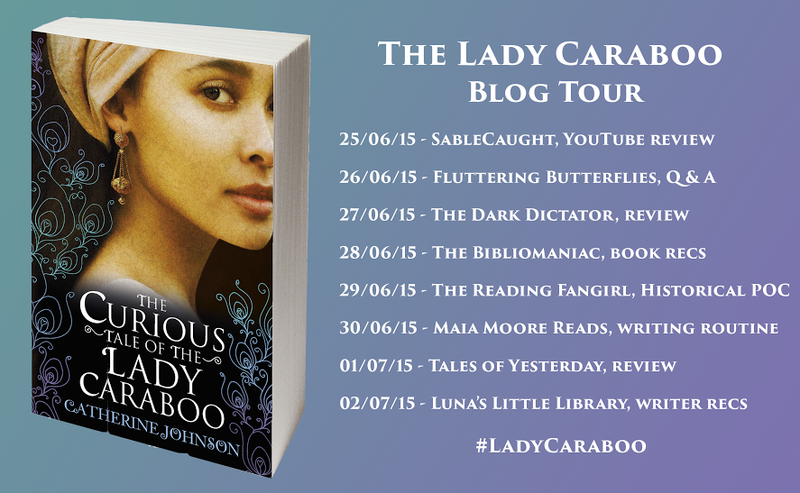 Today I have my stop on the blog tour of The Curious Tale of the Lady Caraboo by Catherine Johnson. As this is a historical fiction book, today I have Catherine Johnson here to talk to you guys all about diverse historical figures. So without further ado, I’m going to pass my blog onto Catherine to talk to you guys all about it. First of all thank you so much for inviting me to come on your blog. I bring virtual lemon tarts, they’re delicious, honestly. And I also bring a short list of some interesting people from Britain’s past. If you are at all interested in this can I please recommend Staying Power by Peter Fryer, it’s a wonderful book, heavy if you drop it, but really easy to read for a heavy duty academic book and SO interesting. I discovered it when I worked in a radical bookshop in Whitechapel in the 90s, and it was one of the things that got me writing historical novels. I am mixed race and I love historical telly. The shows with brilliant dresses, regency especially – who doesn’t love a good empire line? That was why my first ever book was set in 1812, it was entirely the frocks – and more seriously – it was because I wanted to shout about the fact that people like me have been here for a very long time. 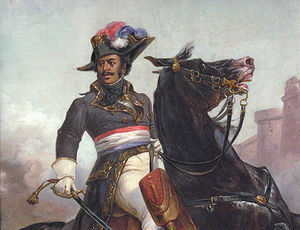 Staying Power is the history of black and Asian people in Britain from Roman times. It was such an eye opener. Did you know Queen Elizabeth the First is recorded as saying there were too many black people in London? In the 16th century! London, my hometown, has always been a world city; there were always people from everywhere speaking languages from all over the world. Which also makes it a great setting for stories. Anyway, history is of course always written by the powerful, which means woman, the poor, the ‘different’ hardly ever get a look in. That’s why we’re harder to find. This is another topic I could go on and on about, but I’ve just included a few from beggar to political activist to doctress and business woman and best selling author (and that last one is all the same woman). I do hope it inspires you to have a look for some more. Oh I have wanted to write about him, (and his early life mirrors what happened to Cato Hopkins in my book, Nest of Vipers although John was a million times more law abiding than Cato!). John was sold to a family as a child of 8 or so in 1745 and lived the rest of his life in North West Wales. He was bought, as was the fashion, to be a page; a sort of exotic fashion accessory as many small boys were, dressed up in a fine livery and to serve as a contrast to the lily paleness of any family daughters. He was just a status symbol, like an expensive pet. There were thousands of children like John all over Britain in the 18th century. Black people living and marrying all over the country, not just in London. Some were lucky, they were allowed to grow up to gain their freedom, and some even became stewards of the grand estates they lived on and like John, married local girls. 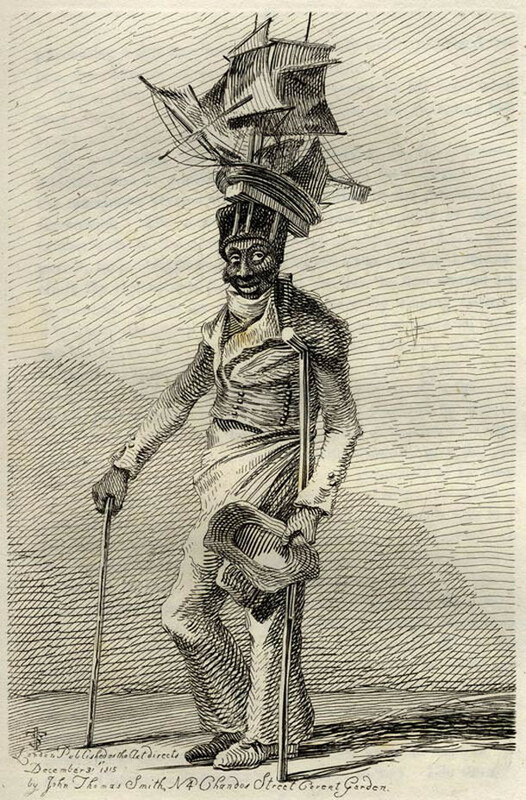 Others were horribly exploited, and as soon as they outgrew their fancy clothes were sent to the West Indies to endure a life of slavery on the plantations. John had, by all accounts, a happy adult life. He became a gardener on the estate, and he and his wife had seven children. His gravestone is in a small church at Ynyscynhaearn in Gwynedd. 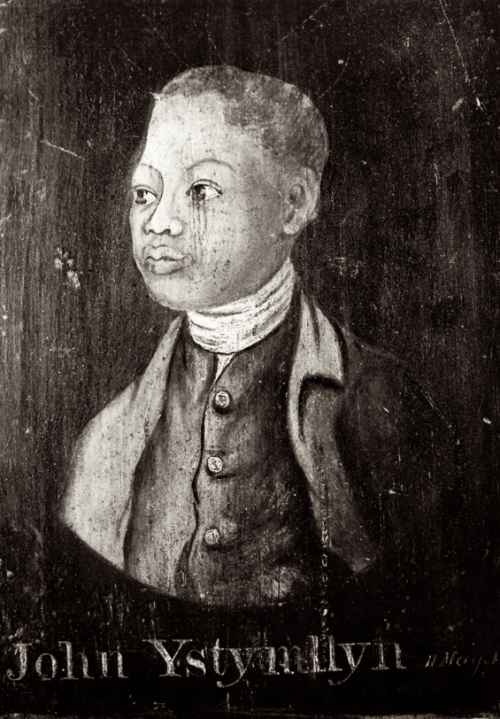 Joseph Emidy was born in Guinea but was captured by Portuguese traders who took him to Lisbon, where he became a violinist in the Lisbon Opera. So how did he end up in Cornwall? Well, during the Napoleonic Wars he was press ganged – basically kidnapped again – by the British Navy and he was forced to be a navy fiddler for four years. In 1799 he was abandoned in Falmouth – I know, you couldn’t make it up – where he made a living as a musician and teacher. He became leader of the Truro Philharmonic Orchestra and wrote concertos and a symphony but (very sadly) none survive. I’ve chosen him because he looks so fabulous and he has turned up as a walk-on in lots of books, including maybe most famously Jonathan Strange and Mr Norrell. I’ve got a picture, here; he was a beggar in central London who performed with a giant model of a ship on his head. He danced and it looked – so witnesses said – like a ship moving under sail on an ocean. William was born in Chatham Kent, in 1788. He worked all his life as a journeyman tailor and was active in the early trade union movement. In the 1840s he became one of the most prominent leaders of the Chartist movement – a group campaigning for rights, including voting rights (although for men only, of course). He was arrested and at 61 years old transported to Tasmania, but was pardoned after 7 years and returned to London and continued campaigning for workers rights. I remember studying the Chartists at school and never once being told that one of their leaders was black. I was rubbish at history though – maybe it wouldn’t have made the difference. OK, I know you’ve all heard of her, haven’t you? She’s a favourite of mine and I wrote a short story featuring Mary in a lovely anthology about women from the past, called Daughters of Time. She was a doctress, a nurse who used herbal remedies to heal from Jamaica, who came to Britain in the 1850s to help in the Crimean War when Florence Nightingale called for nurses, but Florence turned her down. So Mary funded her own mission and set up her own British Hotel, a cross between an Inn and a convalescent home as close to the battlefield as she could possibly get. The troops loved her and organised massive fund raising galas for her back home in London. 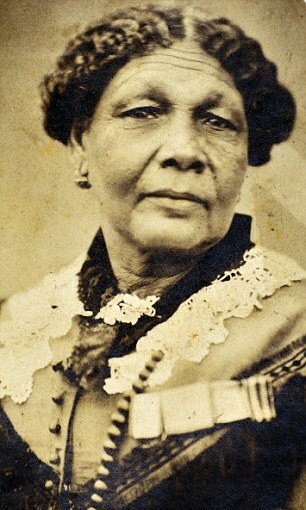 She was also the first Woman of Colour to write a best selling book – her own Autobiography – The Wonderful Adventures of Mrs Seacole in Many Lands. And that’s it! Other Google worthy names include Robert Wedderburn, William Davidson, UkasawGronnisaw, OlaudahEquiano, Dido Belle, James Somerset, Samuel Coleridge- Taylor and Adelaide Hall. Go on, look them all up…. Thanks a lot to Catherine Johnson for coming onto my blog today and for including me as part of her blog tour! You should all go check out The Curious Tale of the Lady Caraboo. Also a huge thanks to Ming for sending me a copy of the book and for including me on the blog tour! Definitely go check out the other stops on the tour if you can.